The Harenna forest lies about 250 miles southeast of Addis Ababa, Ethiopia. 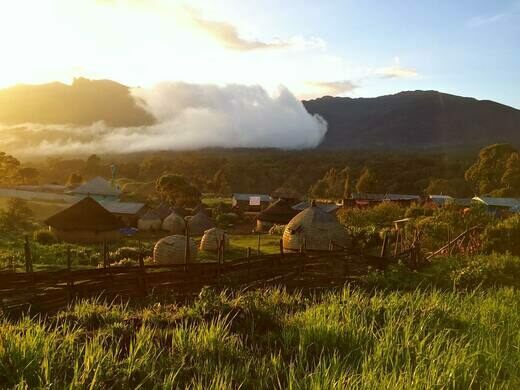 Protected within Bale Mountains National Park, the rainforest hides a tangle of flora beneath the shroud of an often-present, low-lying cloud. And tucked among the dense greenery grows some of the world’s last wild coffee. Most people have never tasted wild coffee. Farmers who cultivate the crop are almost exclusively responsible for all commercially-available beans. Ethiopia is home to some of the last remaining wild arabica plants (according to a 2017 study, nearly 60 percent of the world’s wild coffee is under threat of extinction). You can sample a cup made from these plants at Manyate Coffee Village, situated on Harenna’s southern edge. 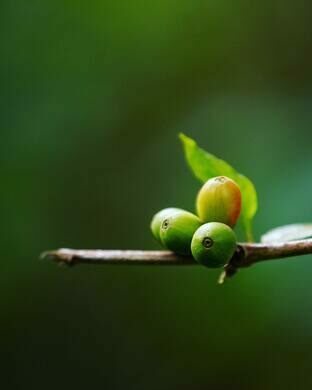 Here, at an altitude of around 5,250 feet, arabica flourishes under the shade of massive, mossy trees. 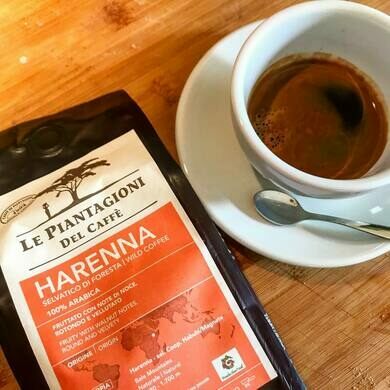 Farmers living in the area depend on the crop for income, and approximately 3,000 individuals gather coffee cherries from the Harenna forest. Harvesters select the bright red fruit by hand, a process that, according to Slow Food International, “is often obstructed by baboons.” After collection, no processing or cleaning is required; farmers simply leave their yield to dry in suspended nets or beneath the sun. Residents of Manyate established a community group known as the Sankate Association to better develop the forest’s small-scale industries. Visitors can try native coffee and honey, purchase artisan crafts, go camping, and take guided tours. Sankate’s coffee house offers traditional Ethiopian coffee ceremonies, and, during harvest season, guests can pluck their own ripened cherries. Bale Mountains National Park is responsible for a variety of important natural features. Locals also practice traditional forms of beekeeping and honey collection from beehives housed in the forest. The mountain nyala, an endangered species of antelope, lives in the park's highlands. Instructions for reaching Bale can be found here. Ethiopian standing stones featuring remarkably preserved carvings of swords and people. A powerful tribute to the victims who suffered under Ethiopia's most devastating regime. A water tower shaped like a giant coffee pot looms over a small Swedish village in Central California.